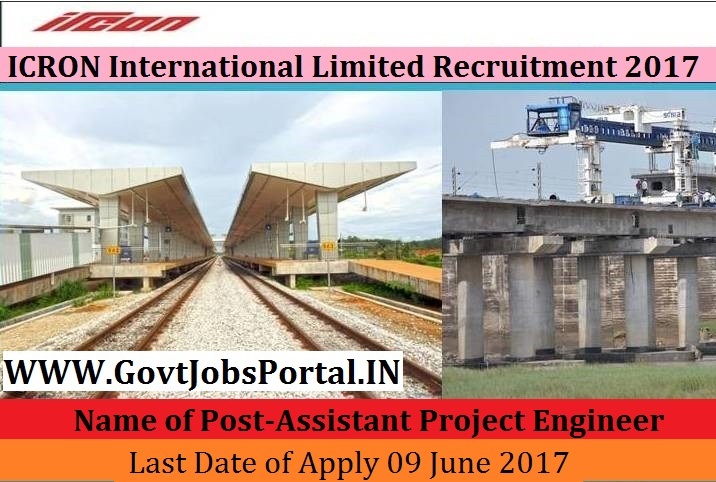 Ircon Infrastructure & Services Limited is going to recruit fresher candidates in India for Engineer & Assistant Project Engineer Posts. So, those candidates who are willing to work with this organization they May apply for this post. Last Date of Apply 09-June-2017. Total numbers of vacancies are 20 Posts. Only those candidates are eligible who have passed Degree in Civil Engineering with not less than 60% Marks with 6 years experience in construction/ supervision of Highway projects (flexible/ rigid pavement)/ Railway Projects/ Major/Minor Bridges/ Buildings. Indian citizen having age in between 20 to 40 years can apply for this Ircon Infrastructure & Services Limited Recruitment 2017. Educational Criteria: Only those candidates are eligible who have passed Degree in Civil Engineering with not less than 60% Marks with 6 years experience in construction/ supervision of Highway projects (flexible/ rigid pavement)/ Railway Projects/ Major/Minor Bridges/ Buildings.